Its hard to find Black Friday deals better than this! 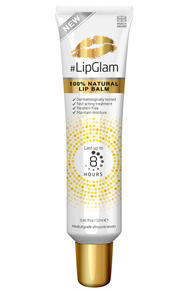 #LIPGLAM was giving away free tubes of #LIPGLAM for that miracle lip balm in a bottle feel! This amazing give away was featured in the Telegraph and the Good Salon Guide. This entry was posted in LipGlam Lanolin Lip Balm, LipGlam Press on 28th November 2014 by Guest Blogger.